TSPECET exam pattern 2019, BPEd, UG DPEd Entrance Test Exam Pattern 2019, Scheme of Examination/Scheme of Entrance test for B.P.Ed.and D.P.Ed. 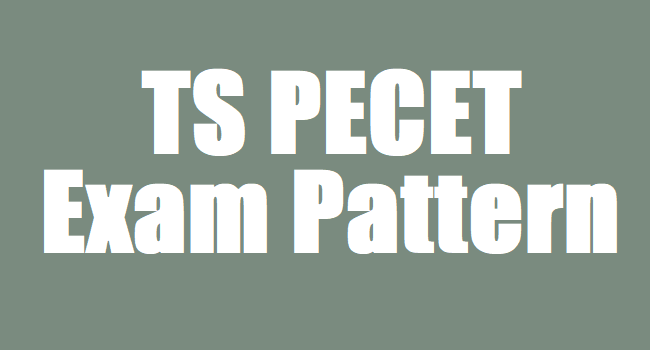 Courses, Physical Efficiency Tests-Skill Test for TSPECET 2019: TS PECET 2019 is a Common Entrance Test as Physical Education Common Entrance Test(PECET-2019) has been released in the month of April 2019 and Online Applications are invited from the eligible candidates for admission into two years B.P.Ed and two years UG D.P.Ed Courses offered by the universities and affiliated colleges in the Telangana State for this academic year 2019-2020. The scheme of examination for the common entrance test 2019 for B.PEd and DPEd Course 2019: Scheme of Entrance test for B.P.Ed. (Two years) and D.P.Ed. (2 Years), Courses: The Common Entrance Test f or entry of students into B.P.Ed. (Two Years) and D.P.Ed. (Two Years) Courses Comprise of two parts, namely a) Physical Efficiency Test and b) Skill Test in Game. The Candidate has to choose either High Jump or Long Jump. Candidate has to mention option in the application. Changing of option at the time of test is not permitted. be allowed for the skill test. So, the candidate should fill the application properly by choosing only one game. Changing of option at the time of test is not permitted. Caution: Candidates with heart ailments or any such serious ailments and differently abled persons should not appear for these tests. Pregnant Women are also advised not to appear for these tough physical efficiency tests. Participation in these tough Physical efficiency tests may cause injury to the ailing individual and in case of pregnant women to the fetus or to the child in the womb.